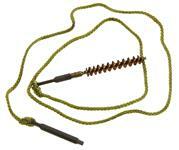 Bore Brush, Military, .30 Cal. | Gun Parts Corp.
Mixed bronze and nylon bore brushes with 8 x 32 threaded end. Used, good condition, however they show some long term storage wear. Note: Sold as is. Cannot sort specific types.